Orthodontic treatment will straighten the teeth or move them into a better position. This can not only improve their appearance but also the way the teeth bite together, while also making them easier to clean. 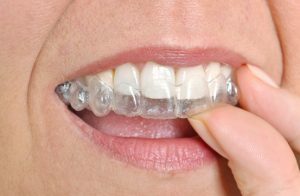 Orthodontic treatment is most commonly known as being carried out in children, but adults can have orthodontic treatment – and more and more are doing so. They can be easily removed for eating, drinking, brushing and flossing. You need to have all your adult teeth before you can have this treatment.